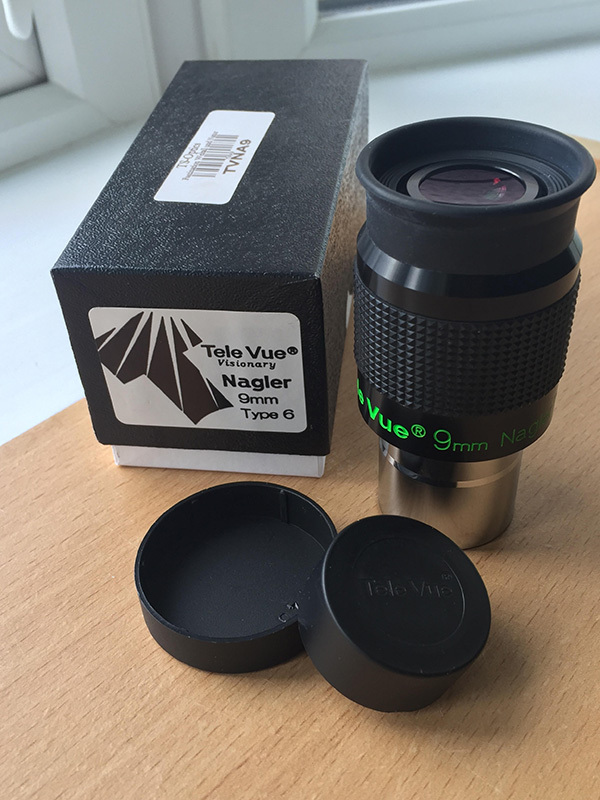 This is the Televue Nagler 9mm type 6 1.25 inch eyepiece, I need not say too much about the quality of eyepieces from this company ! It has a whopping apparent field of view of 82 degrees, tack sharp stars and excellent colour rendition. It's lightweight too. I have it just over a year and is in mint condition with it's boxes and lens caps also. I think it is fair to ask for €250 for this quality eyepiece. Thanks for looking.